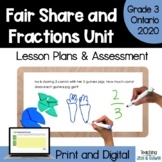 This is a multiple choice assessment that can be used at the end of a unit or in preparation for EQAO. This assessment is also available in my multiple choice assessment package in my store. Based on the Ontario Curriculum. 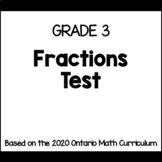 This Fractions Test is based on the Ontario Curriculum Expectations for Grade 3 and includes answers. 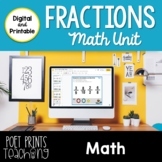 This test is also part of my Grade 3 Math Tests Bundle and part of my Grade 3 Fractions Unit. 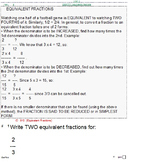 This test coordinates with Math Expressions unit 7 lessons 1-3 Introducing Fractions. 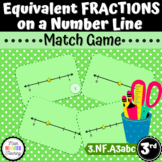 The questions assess vocabulary, unit fractions, and fractions greater than as well as less than 1 on a number line. Bonus challenge questions included.